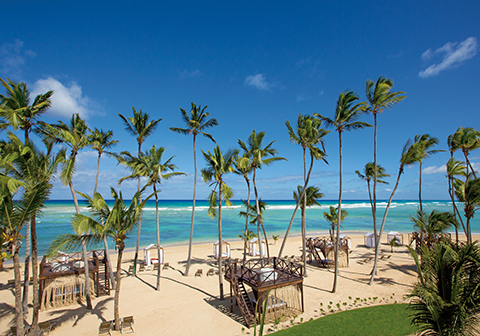 Here on the dazzling northeast coast of the Dominican Republic lies a setting of lively and ultra-contemporary luxury. A place where it’s easy to make new friends and smiles are traded warmly and often. 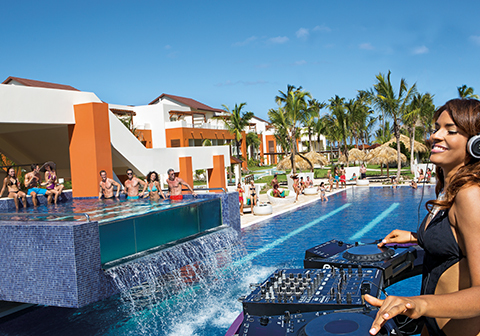 Relax in a cabana by the beach all day or join the DJ parties by the pool. The choice is yours. Live in the balance of Live Big and Breathe Deep from day until night. Live Big devouring delectable gourmet cuisine at eleven dining venue and sipping curated cocktails at eight chic bars & lounges, with 24-hour room service, and lively entertainment. Breathe Deep with a rejuvenating spa treatment at the relax Spa by Pevonia®, soaking in incredible views or hitting the state of the art fitness center. 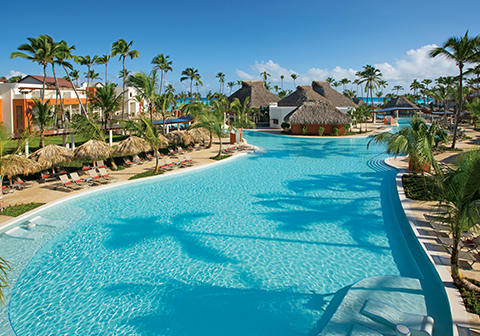 All of this and more is included with Unlimited-Luxury® at Breathless Punta Cana. 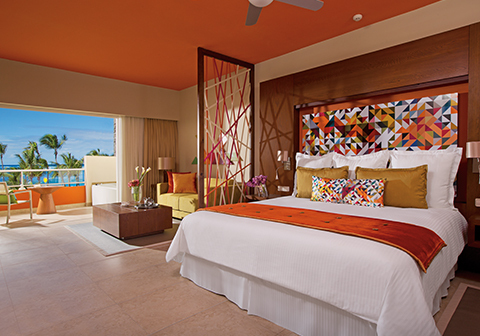 A blend of ultra-contemporary and traditional Caribbean décor adorns the 750 guestrooms in two buildings. 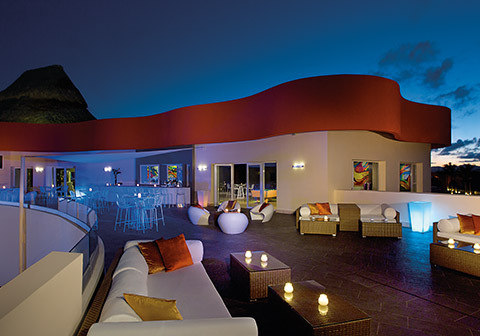 The xhale club accommodations are located in both buildings and include the highest level of personal service and luxury and access to VIP areas throughout the resort. These accommodations include 22 spacious xhale club Master Suite Ocean Front Suites and two xhale club Presidential Suites. All guestrooms feature a daily refreshed mini bar and 24-hour room service. In addition to the above amenities, the Allure Jr. Suite Tropical View also features stunning views of the lush tropical gardens that surround the resort from a private balcony or terrace. This room is decorated in a fresh and ultra-contemporary décor with one king or two double beds. These rooms are located on floors 1 – 3 on the outside of both buildings. 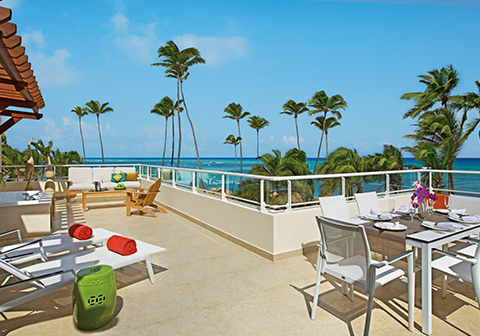 In addition to the above amenities, the Allure Jr. Suite Pool View features views to the pool as well as the lush tropical gardens that surround the resort from a private balcony or terrace. These rooms are decorated in a fresh and ultra-contemporary décor and offer one king or two double beds. These rooms are located on floors 1 – 3 on both sides of the buildings facing the pool. In addition to the above amenities, the oversized xhale club Jr. Suite Pool View also features views of the pool as well as to the lush tropical gardens that surround the resort from a private balcony or terrace. These rooms are elegantly decorated in a fresh and ultra-contemporary style décor with one king or two double beds, and feature all the upgraded xhale club amenities. These rooms are located on floors 2 and 3 facing the pool. In addition to the above amenities, the oversized xhale club Master Suite Ocean Front View offers picturesque ocean front views, a living area with sofa, separate bedroom with one king bed or 2 double beds, a large terrace equipped with seating area, sun loungers and Whirlpool as well as an oversized bathroom featuring two wardrobes, double sinks, rain shower and bathtub with whirlpool. Additionally, the Master Suite offers a separate guest bathroom. These rooms are located on the front portion of each building on floors 1 and 3 with direct ocean views. Connecting rooms also available in this category. In addition to the above amenities, the spacious xhale club Presidential Suite offers stunning ocean front views, a living area with sofa, a fully equipped kitchen, dining room area, separate bedroom with one king bed, a large terrace equipped with seating area, sun loungers and Whirlpool. The oversized bathroom features a walk-in closet, double sinks, rain shower and Jacuzzi. Additionally, the suite features a separate guest bathroom. These rooms are located are on the 3rd floor at the very end of the buildings facing the ocean. 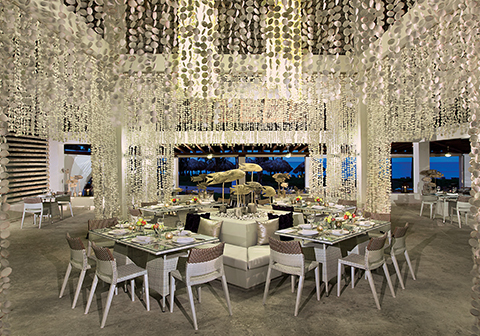 Breathless Punta Cana offers 11 gourmet dining options serving gourmet, trendy cuisine including 8 à la carte restaurants, 1 buffet, a grill on the beach and a café. All restaurant openings rotate throughout the week. The number of restaurants open is dependent upon occupancy level. 24-hour dining options allow guests to enjoy late night bites at Kibbeh. Or stay in and order room service. It’s all available at any hour day or night. Women must wear a bathing suit wrap or cover-up. 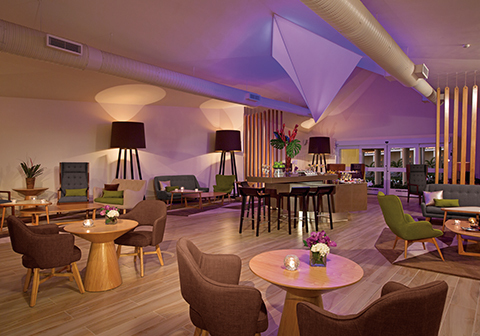 Live it up at 8 chic bars and lounges, serving unlimited premium international and domestic brand spirits. As part of the privileges of Unlimited-Luxury®, we’re offering guests of Breathless Punta Cana the chance to Sip, Savor & See Secrets Royal Beach Punta Cana, Secrets Cap Cana Resort & Spa, Dreams Palm Beach Punta Cana, Dreams La Romana Resort & Spa, Dreams Punta Cana Resort & Spa, Dreams Dominicus La Romana, Now Garden Punta Cana, Now Onyx Punta Cana and Now Larimar Punta Cana. Enhance your experience with a private romantic dinner for two! Make whatever special occasion you are celebrating - honeymoons, anniversaries, birthdays - even more special with a private dinner with your sweetheart. Ask about our very romantic, private candlelight dinner on the beach for two, which is served only by advance reservation through our concierge. Dinner in the Dark & Wine Pairing Dinner available. Altos de Chavón – Altos de Chavón is a fascinating recreation of a 16th century Mediterranean village on a cliff overlooking the Río Chavón. Isla Saona – While taking a catamaran to this scenic island located off of the south-east tip of the Dominican Republic, sailboat or speedboat ride to this island youll experience the incredible turquoise water and beauty of the limestone cliffs. You may even see some dolphins following your boat! Isla Catalina – This small offshore island located approximately 1.5 miles from the mainland has an incredible coral reeffor snorkeling and diving, perfect for those looking for a day long excursion. Santo Domingo – The capitol city of the Dominican Republic, where the settlement of all the Americas began. Youll see the first cathedral and the first hospital. Explore the cobblestone streets that wind through the Spanish colonial architecture and imagine that youre back in the 1500s. Enjoy the fine entertainment and restaurants for your pleasure. 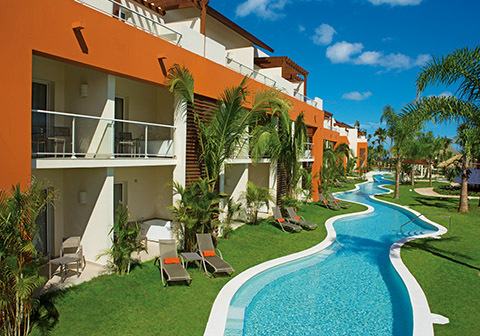 The Punta Blanca golf course is an inland course built in the Punta Blanca residential development in Bávaro. Designed by Nick Price, it is built around natural wetlands and features wide fairways with large waste bunkers. Many of the holes are over wetland areas. Tee times from 7:30 a.m. - 2:00 p.m.
Rate*: USD $95.00 per person. Rate*: USD $125.00 + USD $20.00 (tax) per person. 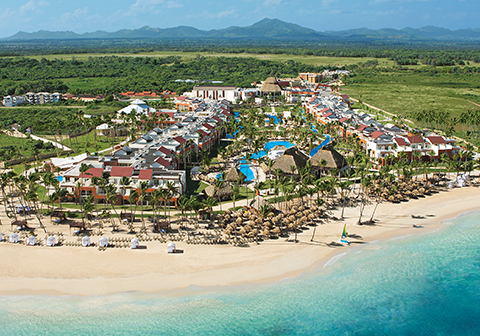 18-hole golf course “Catalonia Caribe Golf Club” and 9-hole course “Catalonia Cabeza de Toro” located 5 minutes from the hotel. Do not hesitate to contact our Concierge for more information in regards to nearby golf courses. Guests also have full access to Now Onyx next door. The complimentary, interactive Breathless Resorts Unlimited Connectivity mobile app allows guests to stay connected to those they are with, as well as friends and family back home with Unlimited Connectivity. Utilizing the app-to-app call feature, guests can make local and international calls to U.S. and Canada using the resort’s Wi-Fi connection, without incurring any cell phone roaming charges. Guests can also personalize their stay by creating a user profile using email, Facebook or Twitter accounts to contact resort staff directly, book spa appointments, reserve excursions and access information about dining, resort activities, local attractions and much more. In addition, this easy-to-use, cost-saving app registers as a room extension so guests can send and receive calls throughout the resort as if they were in their room.